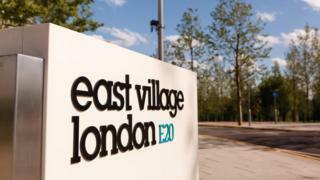 Broadband speeds of up to 10 gigabits per second (Gbps) have been tested in a home in the former Olympic village in east London. Broadband operator Hyperoptic conducted the test, claiming it is the first time such speeds have been brought to a UK home using an existing ISP network rather than a dedicated line. Firms are now looking to roll out full-fibre technology in the UK. Ofcom boss Sharon White said higher speeds were becoming more necessary. "The amount of internet data used by people in the UK is growing by around half every year. So we'll increasingly need full-fibre broadband services like this to provide faster, more reliable connections and capacity to our homes and offices. "We're seeing real momentum behind full-fibre, with bigger and bolder commitments from companies of all sizes to build broadband that can support the UK's digital future." Dana Tobak, chief executive of Hyperoptic, said the test was about proof-of-concept : "We have carried out this trial to push the limits in terms of what's possible for residential broadband. "It wasn't long ago that people asked if 100Mbps connections are necessary. However, as we've seen with the advent of 4K media services, gaming and a dramatic proliferation of multiple connected devices in the home, it has fast become the minimum many consumers demand." Hyperoptic provides a full-fibre network in 30 cities across the UK, and is available to 400,000 homes. The firm said it would roll out 10Gbps services if there was "customer demand", suggesting this is likely to start with businesses and pointing out that there are currently very few computers on the market capable of coping with such speeds. Ms Tobak also took a swipe at BT which has been slow to adopt full-fibre technology - also known as Fibre to the Home. "While other players are just considering how they can upgrade their infrastructure to enable gigabit speeds, we are already working on a path to 10Gbps consumer broadband," she said. BT has used Fibre to the Cabinet technology for much of its broadband rollout - which relies on its old copper network to carry connections between the street cabinet and consumers' homes. It has now promised to bring full-fibre connections to 3 million premises by 2020, 700,000 of which will be in rural areas. Ms Tobak admitted that her firm has no intention of tackling the rural market, which is commercially difficult to justify because of the expense in laying the necessary fibre network in areas where there are few houses. More firms are thinking about the need to future-proof their networks and TalkTalk recently announced its own big investment in infrastructure which will also bring full-fibre technology to 3 million homes and businesses. Matthew Howett, principal analyst at Assembly said: "After years of debate about Britain being on a 'low-fibre diet', in a relatively short period of time we've seen commitments from investors including Openreach, Vodafone, CityFibre and TalkTalk to up the amount of fibre in the network. "While this announcement is not a new investment, it goes to show the potential full-fibre technology has and what is possible once the fibre has been laid. Of course the challenge now is to convince consumers of the need for these vastly higher speeds today and crucially to get them to part with the cash and pay a higher monthly bill." TalkTalk and Openreach: Is the UK full-fibre fit?